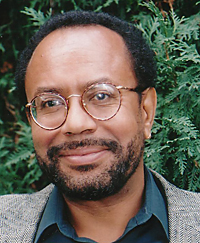 Robert Gooding-Williams is the M. Moran Weston/Black Alumni Council Professor of African-American Studies and Professor of Philosophy at Columbia University. His areas of research and teaching interest include Social and Political Philosophy, the History of African-American Political Thought, 19th Century European Philosophy, Existentialism, and Aesthetics. He is the author of several books, including the award winning In the Shadow of Du Bois (Harvard UP, 2009). My remarks will be relatively brief. Their aim is to shed some light on an idea that is evident in, and critical to the argument of, the last chapter of BR [Black Reconstruction in America], entitled “The Propaganda of Human History.” In particular, I want to sketch an account of Du Bois’s concept of a science of human action, note the affinities between Du Bois’s and Max Weber’s understanding of such a science, and say something, finally, about Du Bois’s understanding of historiography as a philosophical and prophetic art, the proper execution of which, I think he believes, depends on a proper understanding of the historical science of human action. “One reads for instance, Charles and Mary Beard’s ‘Rise of American Civilization,’ with a comfortable feeling that nothing right or wrong is involved. Manufacturing and industry develop in the North; agrarian feudalism develops in the South. They clash as winds and waters strive, and the stronger forces develop the tremendous industrial machine that governs us so magnificently and selfishly today. With an eye to these remarks, as well as to what Du Bois writes elsewhere in the conclusion to BR, let me sketch five theses regarding Du Bois’s understanding of history as a science of human action. Thesis 1: For Du Bois, history, so far as it is a science of human action, cannot model itself on the natural sciences. At issue here, of course, is something like the older, nineteenth century distinction between the Naturwissenschaften and the Geisteswissenschaften, which, I argue elsewhere, already informs Du Bois’s thinking, possibly due to Dilthey’s influence, in the important, early essay of 1897, “The Conservation of Races.” Now for the Du Bois of BR, historians who model their inquiry on the natural sciences (historians like the Beards) seek to identify the causal uniformities, or “cosmic” laws, governing human events, which events they conceptualize by analogy to the behavior of the winds, waters and other forces of nature. The problem here, Du Bois suggests, is not with the effort to identify the causal uniformities governing human events per se. Rather it is with the tendency in that effort to neglect the human meaning of human events, which is tantamount to treating specifically human events as inhuman, natural forces that lend themselves to a purely “mechanistic” explanation—by which I take Du Bois precisely to mean explanation in terms that make no reference to the meanings that the human beings who participate in those events attach to them. Thesis 2: For Du Bois, history, if it is to be a science of human action, and not pretend to be a science of nature, must take account of the subjective meanings of actions and events. That, I conjecture, is why Du Bois implies that the historian, as a scientist of human action, cannot truly tell the story of “the mightiest effort of the mightiest century” without taking into account the psychology of the agents whose individual actions sustained that effort—for to take psychology into account, Du Bois thinks, is to take subjective meaning into account. And that, I conjecture, is also why he asks: What did slavery mean to the owner and the owned? Du Bois insists that, to understand slavery, taking into account what it meant to the owned is no less important than taking into account what it meant to the owners. But as a philosopher of the social sciences, he also wants us to see that, in demanding that the historian of slavery attend to the slaves’ stories about slavery, he presupposes the fundamental, methodological tenet that the historian’s task is what Max Weber called Verstehen, or “interpretive understanding,” not mechanical explanation. According to Weber, the sciences of human action, including history and sociology, “speak of ‘action’ insofar as the acting individual attaches subjective meaning to his behavior—be it overt or covert.” And a central task of those sciences, Weber argues, is to place human actions “in a more intelligible and inclusive context of meaning”—as, for example, when we interpret a woodchopper’s chopping of wood as an act undertaken to secure a wage; or, alternatively, to provide a supply of firewood for the woodchopper’s use. Thesis 3: Du Bois stresses what I take to be his Weberian understanding of the science of human action, in part because he is committed to the view that moral judgment is a critical component of historiography. Du Bois, I take it, is a moral realist (Weber, of course, rejects moral realism) who believes 1) that there exist moral facts and 2) that moral judgments truly or falsely report those facts. In addition, he believes that historians should issue moral judgments—that, unlike the Beards and any number of other historians of American slavery, they should attribute moral responsibility and pronounce judgments of moral right and wrong. But historians cannot attribute moral responsibility and pronounce judgments of right and wrong unless they understand human action in terms of subjective meanings. For they require some such understanding of human action to render intelligible their application of the vocabulary of moral judgment— a vocabulary that, for Du Bois, includes talk of “guilt,” of “moral courage and sacrifice,” and of “the degraded black millions.” In Du Bois’s view, I am suggesting, a necessary condition of the possibility of the sort of moral judgment that we should expect the historian’s practice of the science of human action to include is a more or less Weberian, Verstehen-centered approach to that practice—or, more exactly, that the historian explain human actions in terms of subjective meanings. Thesis 5, my final thesis: That just as Du Bois argues that a Verstehen-centered approach to the science of human action is essential to the historian’s fulfillment of his or her vocation as moral judge, so too he seems to suggest that such an approach is essential to the philosopher/prophet’s fulfillment of his or her task of grasping the story that the historian has told as a meaningful whole. For whether identified as tragedy, romance, or as an instance of some other genre, genre identification will depend on the ascription of subjective meanings to human actions and events. In the case of BR, the identification of the story of Reconstruction as a tragedy depends not only on the ascription of subjective meanings, but, in addition, on an interpretation of those meanings in moral terms that resonate with a certain way of conceptualizing tragedy. For when Du Bois writes of the “real plot of the story,” of a “clear mistake and guilt,” and of a “fateful” experiment in democracy, it is difficult for me not to sense in his choice of words, not only the legacy of Greek tragedy per se, to which he alludes, but, perhaps, and more specifically, the legacy of Aristotle’s interpretation of Greek tragedy. In The Rise of American Civilization (1927), Charles and Mary Beard reprised the explanation of historical events in economic terms that Charles Beard had already advanced earlier in his scholarly career, most influentially in his An Economic Interpretation of the Constitution of the United States (1913). For useful treatments of both books and of Beard’s methodological commitment to the moral neutrality of historical inquiry—a commitment with which Du Bois takes issue in “The Propaganda of Human History”—see Richard Hofstadter, The Progressive Historians: Turner, Beard, Parrington (1968).